We at Illusions Salon and Spa in Colorado Springs offer premium quality waxing services in a clean and comfortable environment. Our guests are treated by attentive and professional waxing artists. We offer a variety of waxing and specialty services and dedicated to the highest standards and protocols of sanitation and disinfection. We carry a wide variety of premium hard and soft waxes. An individual consultation with our artists will determine which is best suited for you. Our professionalism and expertise will give you a sense of comfort and will make your visit with us a pleasant experience with all the attention to detail. Where art and experience meet to fulfill your every expectation and of course impeccable guest satisfaction. Do you feel like your eyebrows have taken on a life of their own? Are stray hairs increasing in frequency, making upkeep difficult? Is it becoming more difficult to hide your slight “mustache” under your makeup? Have you suddenly noticed dark hairs in places you didn’t see them before (ears, chin, etc.)? Don’t despair! There is help! At Illusions Salon and Spa in Colorado Springs we offer thorough, removal of unwanted facial hair. The skin on your face can be very sensitive. Because of this, we use a waxing method that minimizes discomfort and redness. First, we will examine your skin type and discuss any issues you may have had with previous facial hair removal. Using either strip wax, hard wax, or a combination of both (depending on your skin type), we will carefully remove the unwanted hair. The wax used at Illusions Salon and Spa in Colorado Springs incorporates aromatherapy ingredients, which are relaxing and gentle on your skin. 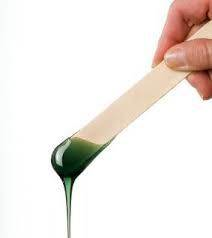 To minimize discomfort and irritation, the wax is used at a low temperature. After your waxing, a soothing salve will be applied to the waxed area and proper care of your skin will be discussed to ensure you know what to expect from your hair removal service. Unlike some other places you can get an eyebrow wax, we will take the time to determine the best way to shape your brows, making sure your eyebrows complement your facial features, not detract from them. Illusions salon and spa is in Colorado Springs north end next to the chapel hills mall, making it convenient for you to schedule an appointment on your lunch hour or on your way home. Let’s face it – no matter how you feel about facial hair on guys, you don’t want your own mustache. Unfortunately, thicker lip hair could be a gift from your family history or just something Mother Nature decided to “bless” you with. Don’t deal with the pain of constant tweezing or the harshness (and pain) of at-home hair removal kits. Schedule a lip waxing appointment at our Colorado Springs location today and say goodbye to your unwanted lip hair. Have overactive hormones or heredity left you with excess hair on your face? Using a soft touch, we can remove hair from various spots on your face. Contact Illusions Salon and Spa to determine if a full face waxing would be the best treatment for you. After surveying your unique situation, we will let you know if you need a full face waxing or if you would benefit more from some of the other facial waxing services we offer. No matter what type of facial hair removal you need, we can safely, and effectively remove hair from your face. Schedule an appointment at our Colorado Springs Salon and Spa today.